Africa is largely overlooked but some of the continent’s economies have been growing at 7% for a decade. We all knew that 2011 was going to be a tough one. What very few guessed was that emerging markets, the supposed ray of hope, were going to fare worst of all. Twelve months ago it looked as if the EMs were the only game in town when it came to growth. Right. Only problem was that any investor who bought indiscriminately into that idea ended up losing a quarter of his money. Of course, economies are not the same as markets. Rapid expansion is not always good for equities. And when risk is taken off the table, it is often the peripheral markets that are hit first, growth or no growth. Last year, most of Africa’s handful of stock markets suffered at least as badly as any other emerging markets. There was the global rush to de-risk, and unprecedented upheaval in North Africa helped pump the panic. The old-school view that investing on the frontier is bigger on risk than on reward seemed to be confirmed. But look again at Africa – not least because so few do. Africa has long been the least-reported of the world’s regions (with the exception of the BBC, no global news organization maintains an African network). Effectively, Africa is the invisible continent. And that is a puzzle. Ten of the best economies in Africa have been growing at around 7% or more for a decade. The political setting has been improving. Demand for African exports has been growing. There has been a lot of turmoil, but in almost every case Africa comes out of it better off than it went in. So what’s not to like? That’s easy to answer. African economies are small – just 2% of world GDP. Even some of the biggest – Nigeria, Kenya and Egypt – are illiquid and financially immature, so direct equity investment is high risk, while indirect equity investment is a crowded trade in good times, and a lonely one in bad. Plus, most of the economies are true frontier markets – places where the hunter-gatherer instinct drives business strategy. Apart from anything else the risk of sudden appropriation is still real (try doing business in the Democratic Republic of Congo or Zimbabwe). But cut a little deeper, and you will see that something very positive is happening in Africa, something that the market continues to mis-price. The conventional view of all emerging-market investing is that policies and politicians matter more than market trends. So inside knowledge and special relationships are all that count – what old Africa hands will recognise as the Lonrho school of investing. Yet today, there are clear signs that that is changing. That is because the African consumer is becoming a force. 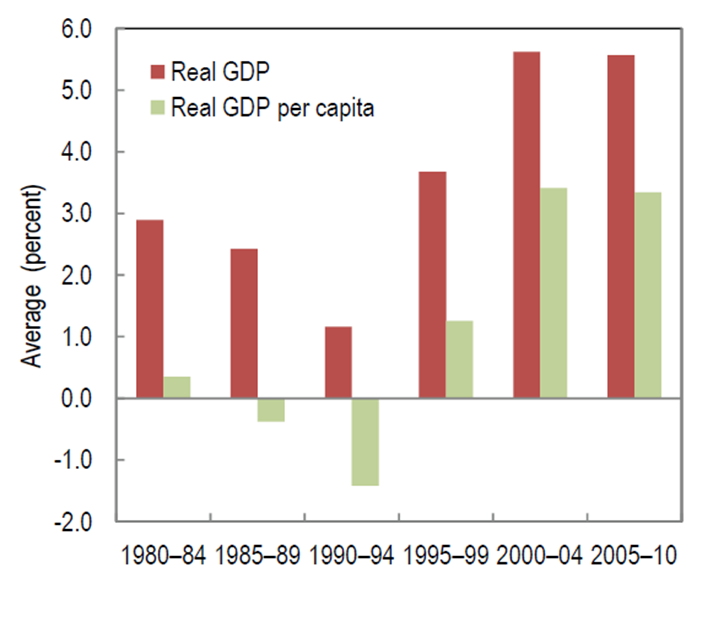 The bigger economies all feature a real middle class, and it is growing. You expect shopping malls in South Africa, but in Nigeria, Kenya and Ghana? Plenty are opening there too, thanks to heavy investments from companies like Walmart. Indigenous banks like UT in Ghana and Equity Bank in Kenya have opened up huge new consumer credit markets, while the cellphone has transformed business and communications – half the world’s users of mobile – payments systems are in Kenya. And it is when the consumer becomes a real economic driver that the game changes, and infinitely for the better. The other big story is infrastructure. For several African countries physical development is still a future concept – tiny but oil-rich South Sudan is an example of just how complete the opportunity is. But infrastructure is always political: the equation is stability equals returns. So, is politics improving? Answer: indubitably. Thirty years ago the orderly democratic transfer of power was something Africans read about in books. Now it is a reality across much of the continent. Yes, there is still plenty of downside risk. Developed market demand is weakening. Global lenders are more cautious about frontier risk than ever before. Official finances are stressed, and political maturity is not assured (Uganda, Nigeria and dominant South Africa are all on the watchlist). Also liquidity in frontier equity markets remains generally very poor. On the other hand, there is an extraordinary underlying resilience. 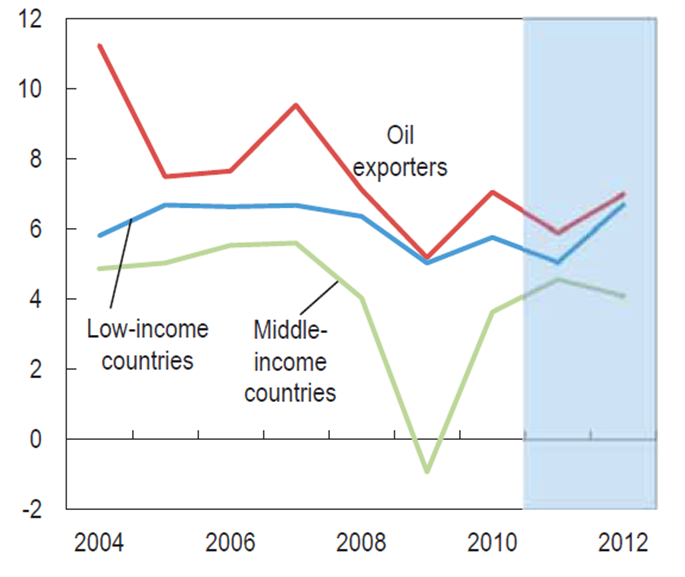 Exposure to external trade demand is lower than in other EMs. Countries and consumers are under-borrowed. Domestic self-confidence is growing. In investment, when things are great everyone tends to do well. In times of crisis, the good go down with the bad. It is when things start to get just a little better that the big sifting takes place. And when that happens, Africa will do very well indeed.